Built in 1912, the historic Hollywood Schoolhouse is located in the heart of the Woodinville Wine Valley. Elegant sweeping hardwood floors accented by the original Schoolhouse brick walls, will create the perfect setting for your wedding or special event. If you prefer an outdoor venue, the Hollywood Schoolhouse has beautiful landscaped gardens surrounded by evergreens. In addition to our beautiful venue, our executive chef brings years of experience and the best of seasonal ingredients to each plate. After booking, he will work with you to create the perfect menu for your special day. We look forward to celebrating with you! Infuse romance into the atmosphere of a vintage inspired wedding. What's old is new again with a wedding that captures the glamour of the past with decorating with antiques and a modern vintage flair .Picture an antique cameo, and the first image that probably pops into your mind is a woman's profile carved out of white shell against a creamy coral background. Emerald Media creates cinematic wedding films so that couples can remember the sights, sounds, and emotions of their day for years to come. Our films are designed to tell your love story in an engaging, creative way. 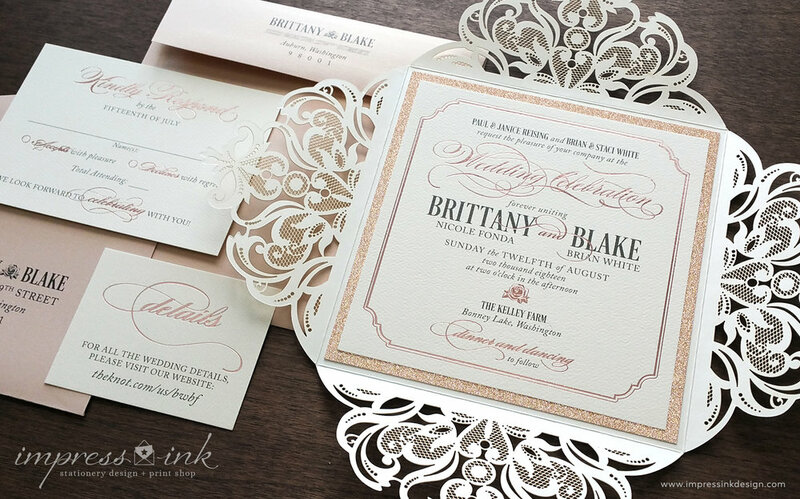 Impress Ink is an design company that delivers custom invitations and coordinating stationery to set the tone for your wedding. We offer the widest range of options and the design flexibility of bespoke stationery, but without the high price tag that normally accompanies a custom suite. If you’re local, we encourage you to schedule an in-studio design consultation for the ultimate collaboration experience! 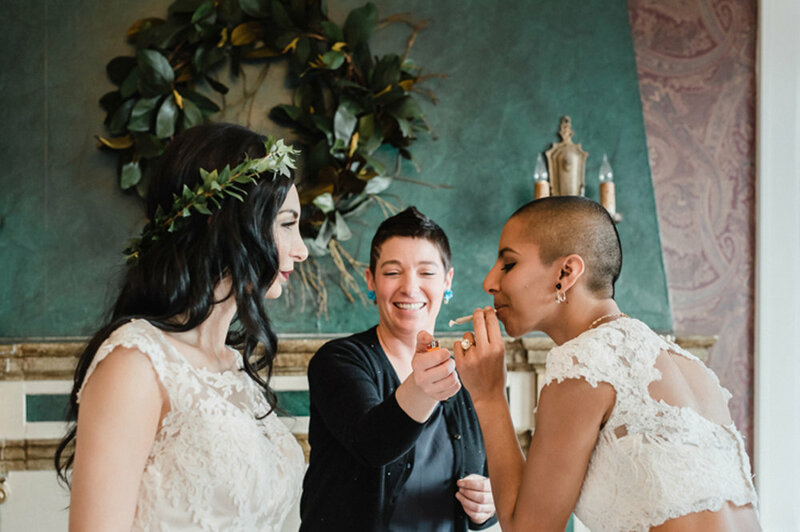 Irie Weddings & Events takes the guess work out of making your wedding cannabis friendly! Let our knowledgable team guide you through the planning process and host a stellar bud bar on your big day that is sure to delight and impress your guests. Hi, I’m Jenny. I’ve been photographing weddings around Seattle since 2008. I want to produce images that prove all of the joy your wedding day, that show how amazing your family is and just how sweet life can be. Weddings are groovy and I love people. Call me! Marci Jewelry is your best source for diamonds, engagement rings, wedding bands and more! Hundreds of iconic Tacori styles, contemporary rings by Precision Set, Coast Diamonds and Noam Carver. Our large selection of the beautiful Forevermark diamonds is worth the trip from anywhere. We have a master jeweler on site and specialize in custom ring design and repair. MoltenWorks specializes in a one-of-a-kind glass fusing experience, where anyone can be an artist! We specialize in private parties and we can create unique party favors for special events. 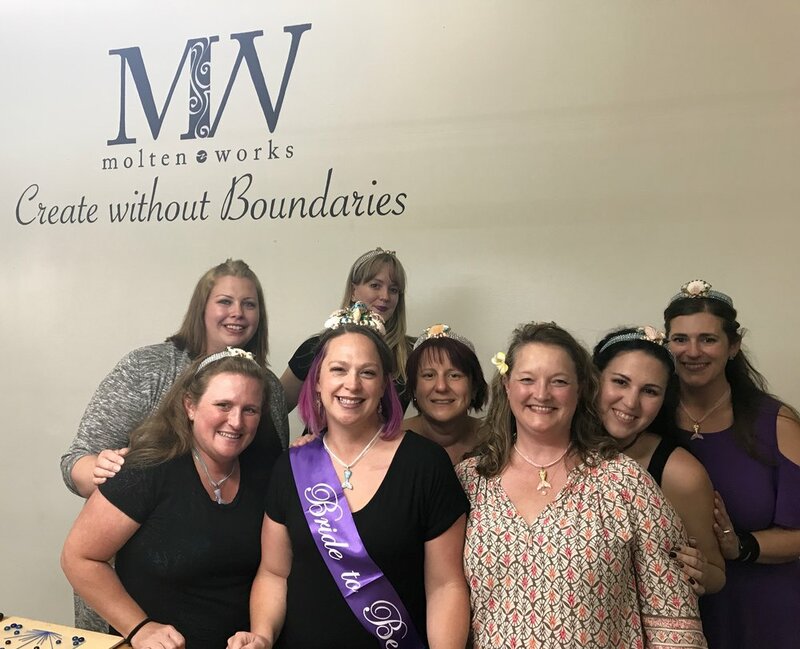 Contact Moltenworks for more information on how we can create a custom experience for you and your guests! Original Photo Booth is a Photo Booth Rental Company serving the beautiful Pacific Northwest. We began in 2008 offering our Classic Photo Booth which was thoughtfully designed to go all the places a vintage (or cabinet style) photo booth couldn't. With its sleek modular design it'll look good at any event. In 2017 we released The Studio and we're head over heels for all this beauty can do! It's our answer to an Open Air style photo booth with more options than we can list here. Whether you are looking for the intimacy of a Classic Photo Booth or you want to step out on the red carpet with The Studio, we've got you covered. For nearly 10 years, Pompeii Wood Fired Pizza has provided exceptional catering services for weddings and events. Our mobile ovens cook ultra-thin gourmet Neapolitan pizzas, salads and sides on-site. Your guests will experience firsthand the tastes, smells and excitement of old Italy. Call on us to make your event memorable. Need wine for your wedding celebration? Precept Wine has you covered! We produce many varietals and brands of wine that are sure to meet any needs. Gruet is our sparkling and I hope you enjoy a glass or two at the Wedding in Woodinville. For Brides and grooms, we offer 25% off SRP and a complimentary case for every 4th case purchased. Prop Gallery Events is motivated by our clients' vision. We work to develop your ideas. We challenge each detail of every event; fabric, props, floral and lighting in order to develop and implement the WOW factor. Allow us to produce a uniquely captivating and memorable experience for you. Salon Maison is at the forefront of wedding beauty and style for over 25 years. Our clientele includes celebrities and distinguished personalities who rely on us to provide the highest level of service. You can count on us to create the perfect look for you with our pampering signature service. I do oil paintings, live, at weddings and events. The object of this premium service is to complete an oil painting, alle prima (all at once) during your wedding reception or event. The painting is finished before the event is over. It is both a performance to entertain your guests, and a keepsake to treasure forever. We offer delicious and elegant desserts that are custom designed to fit your vision. Whether you are looking for just a small cutting cake or a dessert table, we offer a wide selection of desserts that will wow your guests. Seattle Floral Design will make your event a visual masterpiece. With a passion for elegance and exquisite designs, we delight in turning your vision into a reality, providing the best quality flowers, creating a unique design and the highest level of personal attention and service. We are full service entertainment company with professional DJ's, Live Bands and Karaoke with sound systems, microphones and a lighting packages. We offer personal consultations and music to make sure you and your guests have the time of their lives! We enjoy working closely with your caterer, event planner, photographer, videographer or venue manager, allowing you to relax and enjoy the party! 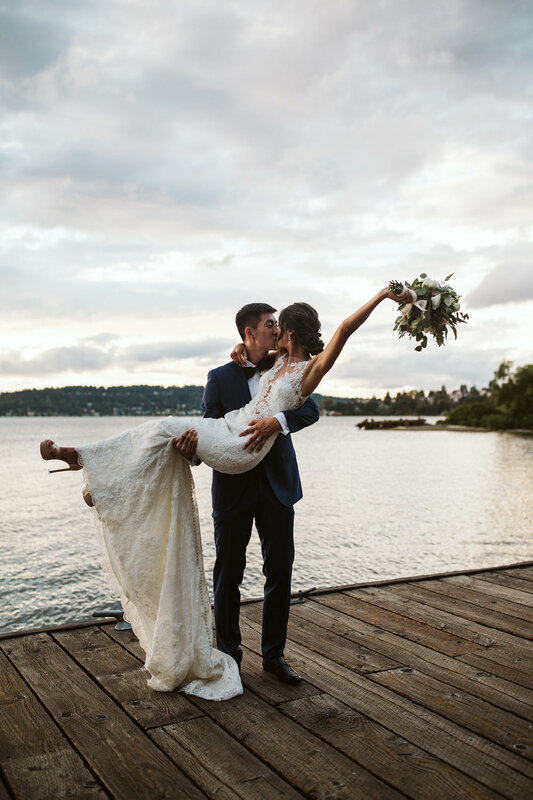 With 20 years in the industry, we are one of the most trusted and reliable companies in the NW with flawless reviews on YELP and multiple awards, including Seattle Bride Magazine's " Best DJ for a Wedding". 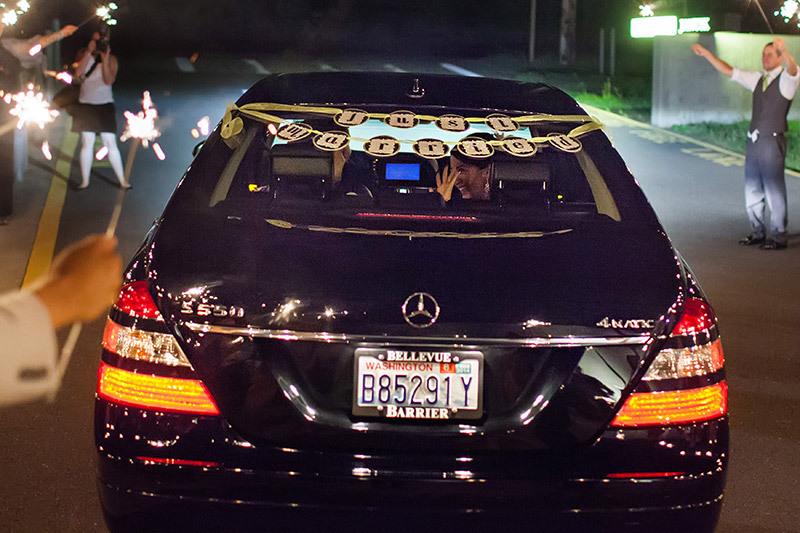 We look forward to speaking to you to start the journey of your most memorable day! The first of its kind, Tentwood is a mobile, pop-up event space. At 1,000 square feet, the rustic barn can be assembled in just one day by Tentwood’s professional crew. The event and location is up to you, be it an intimate wedding in your backyard or a party with friends in the park.